In every walk of life and every sphere of governance all we can witness is failure. 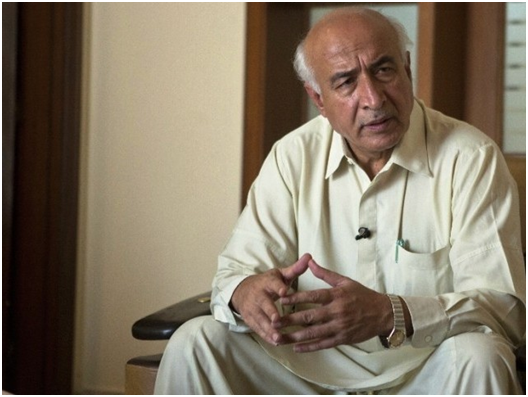 However, the Balochistan provincial government, headed by Chief Minister Dr. Abdul Malik Baloch, has set new benchmarks in failure. Biggest failure is its inability to set a stop to kill-and-dump policy pursued by the military to eliminate Baloch nationalists who are demanding their rights. The target killing of Baloch political workers continues unabated. The Balochistan National Party-Mengal (BNP-Mengal), which believes is non-violent political struggle, is the chief victim of these target killings. According to reports, 150 workers of BNP-Mengal have been target killed in last 10 months only. On 28th March, Wadh Khuzdar,personal body guard of BNP-Mengal’s chief Akhtar Mengal, was gunned down in Khuzdar. The chief of Kasi tribe, Nawab Abdul Zahir Kasi, was abducted on gun point in broad daylight from the center of Quetta on 23rd October last year. He is still missing and Balochistan government has not done anything for his release except a token protest outside the National Assembly. Second critical failure is its inability to stop sectarian killings. Moreover, on 14th March a political rally took place in Quetta which was organized by the political wing of a sectarian party which declares Shias as infidels. The rally was nothing but a hate mongering debate competition on sectarian grounds, where one speaker proudly talked about completing century, referring to killing of Hazara community. The Government of Balochistan conveniently decided to keep its eyes wide shut and didn’t take any action. The sectarian militancy is rising in the province which is evident by continuous attacks on Hazara community and the culprits remain at large. Thirdly, Dr Malik’s government has not done anything to pacify Baloch insurgents. The biggest question facing Balochistan is the insurgency which has entered its 10th year. The federal government has started negotiations with the Taliban who justify barbarity and crimes against humanity in the name of religion. But no such arrangement to deal with the disgruntled Baloch militants, Dr. Malik’s progress in dealing with insurgents is limited to his media statements only. He has failed to initiate any meaningful process for rapprochement with Baloch insurgents, neither he has been able to convince the military establishment to deal this issue through a dialogue. However, security is not the only issue the government has failed to address. In fact, the Balochistan government has registered its failure in governance-related issues as well. Even Quetta, provincial capital of Baluchistan, is in mess when it comes to civic amenities, let alone other areas. Quetta portrays the image of war-ravaged city. After every rainfall, the roads take the form of mini-rivers. The sanitation system is a mess even in the centre of the city, not to mention its outskirts. The government has miserably failed to address a micro-level problem such as sanitation. In Lahore, flyovers are built in three months but work on Sariab Flyover in Quetta has been going on for the last two years. One may point out that managing Quetta’s affairs is not provincial government’s mandate. It is a municipal committee’s job. The problem is, the government is not ready to accept the mandate of local bodies. It was a welcome step that the Government of Balochistan organized the local body elections but it is delaying the transfer of power to them despite a lapse of over three months now. Why? Because the opposition parties have won in many districts. This reflects the double standards of the provincial government; it wants more autonomy from the federal government but is not prepared to transfer power to districts. Delaying transfer of power to local bodies is not the only undemocratic step taken by the Balochistan government. It has also blocked the development funds of the opposition parties. When Dr. Malik was elected as chief minister, there were hopes attached to him. After all, he is the first middle class chief minister. In the past, always a Sardar would occupy the slot. However, owing to bad governance, appeasement of political allies and the desire to continue holding the lucrative office of chief minister at all costs, has rendered him highly unpopular in only ten months. Dr. Malik is just a good looking version of former chief minister Nawab Raisani. True, that he has been in power for only ten months. One can not expect miracles from a besieged government. However, it was possible to show an intention and spell out an orientation. That, indeed, is the real failure. Dr. Malik’s government is directionless, uninterested in anything except its survival. A pity!